In 1-quart microwave-safe casserole, combine all ingredients; mix well. Cover with microwave-safe waxed paper or plastic wrap. Microwave on HIGH for 3 to 5 minutes or until hot, stirring twice during cooking. 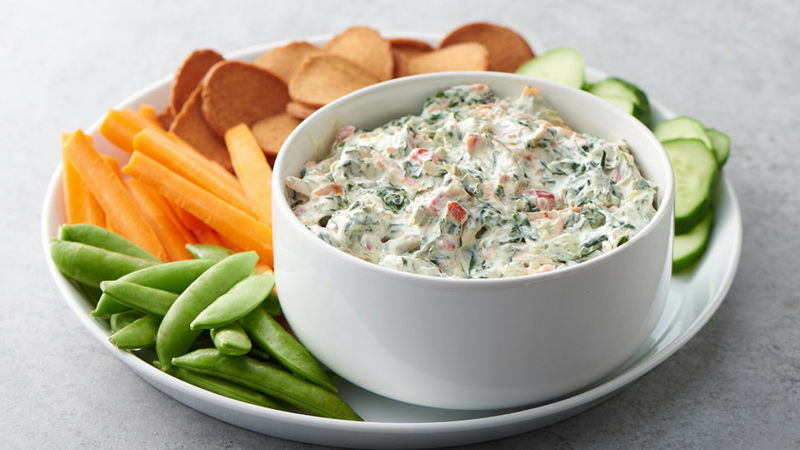 Serve immediately with crackers and fresh vegetable dippers. To make ahead, prepare, cover and refrigerate up to 3 hours; microwave as directed.